Visiting Nikita Kudryashov at home is a bit like entering a bomb shelter. Once the metal door into the building slams shut behind us, it is pitch dark. The young man leads me up a dim staircase. But then we enter a flat that could be anywhere in Russia: a kitchen table laden with pancakes, smoked fish, buns with cottage cheese, jam and tea. Past the lace curtains and geraniums on the windowsill, barely anything is visible of the snowdrifts and crumbling houses outside. But the harsh climate and remote locale mean the town is struggling for survival. In the military district where Kudryashov lives, only a handful of buildings are still in use. The rest stand empty, cracks in the concrete walls widening with every winter, ice falls pouring from burst pipes. Still, the young man is hunkering down. “We are planning to stay for the next 10 years or so, and then we’ll see,” he says, his arm around Obidina. 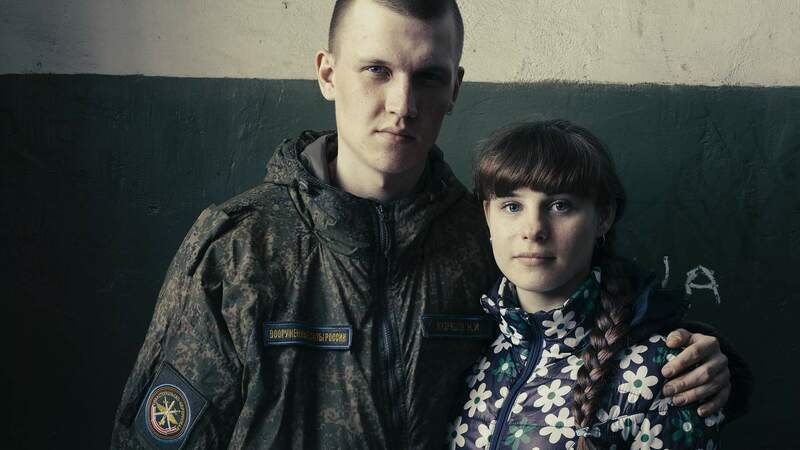 Having opted to become a soldier like his father, Kudryashov says he doesn’t feel comfortable on the “mainland” – the word people here use to describe other parts of Russia. “Maybe something will change here. Maybe everything will prosper here and there will be no point leaving,” he adds. This ray of hope comes from an unlikely source: climate change. Global warming, which is causing Arctic sea ice to melt at an unprecedented pace, is watched with alarm in other parts of the world. 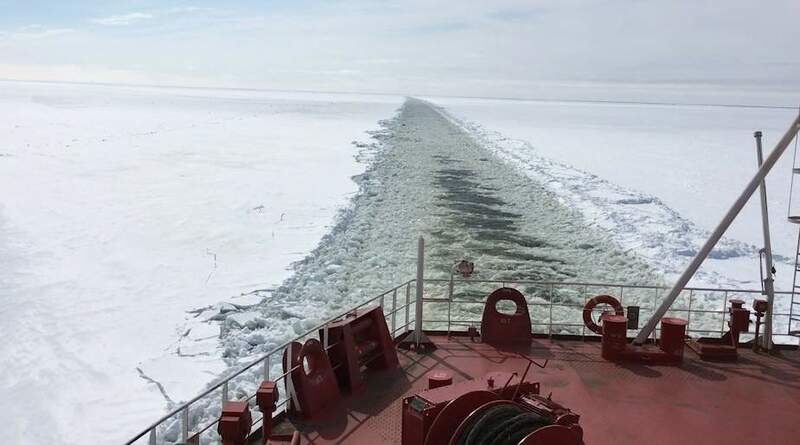 But in Russia, the rising temperatures are fuelling expectations that the waters along its northern coast, long a frozen frontier, could once again become a vibrant shipping line, rivalling some of the world’s most important trading routes. Government officials and scholars argue that the Northern Sea Route (NSR), a historic sea link between Europe and Asia traditionally known in the west as the Northeast Passage, is being reborn. Moscow hopes that such a revival could also resurrect its far northern regions – one-fifth of the country’s territory. In theory, the NSR could compete with routes that have dominated global maritime transport for decades. 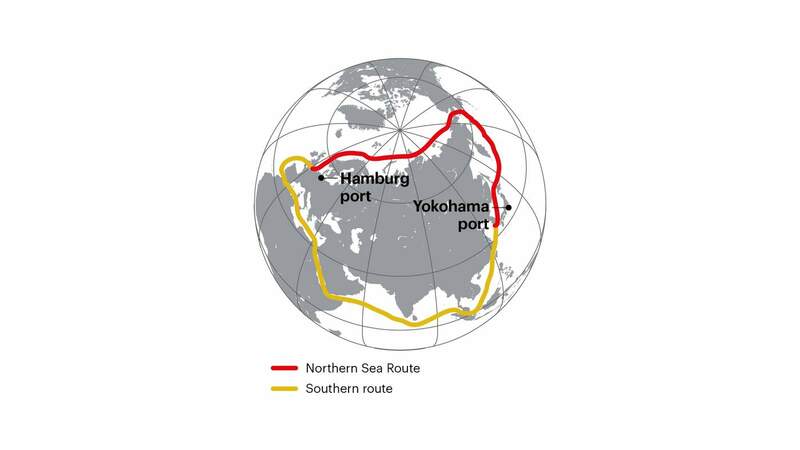 Calculated between the ports of Yokohama and Hamburg, the 7,200 nautical miles shipping distance between Asia and Europe using the NSR is 37 per cent shorter than the southern route via the Suez Canal. "Maybe everything will prosper here and there will be no point leaving"
For centuries, the Arctic has had special significance for Russia – as a new frontier for explorers, a source of riches from furs to oil to gold, and a security buffer for a nation that frequently feared encirclement. The Soviet Union developed its Arctic regions very differently from geographically comparable areas in Canada or Alaska: it built full-scale industrial facilities, infrastructure and large permanent settlements. 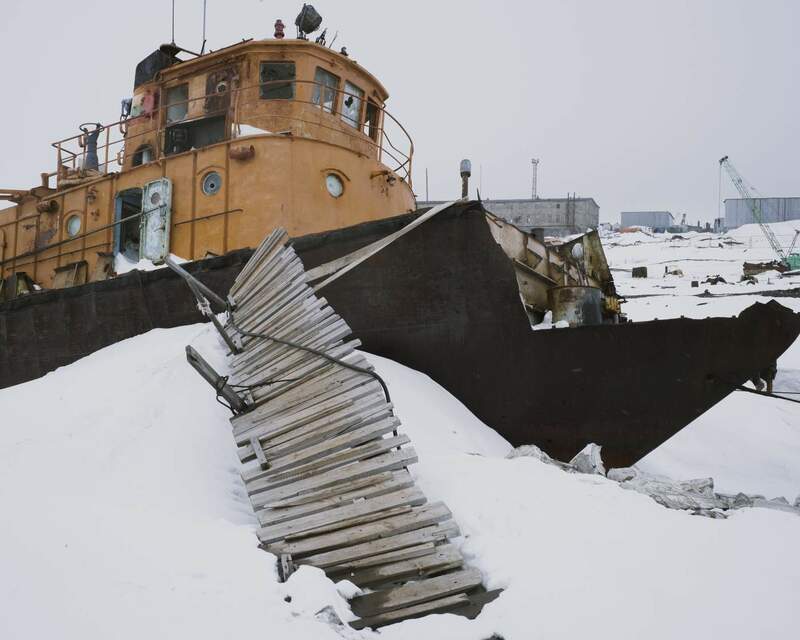 But when the USSR collapsed in 1991, the money that had kept all this alive dried up, sending Russia’s entire Arctic zone into a two-decades-long tailspin. The Soviet government had used the Northern Sea Route since the 1930s, and extensively since the 1970s: for full-length transits between Europe and Asia, to supply its Arctic settlements with food and fuel and to ship products from northern regions that lacked transport links on land. But after the disintegration of the USSR, use of the route almost completely stopped, threatening the survival of towns like Tiksi. Total cargo transport volumes plummeted from a peak of 6.58 million tonnes in 1987 to just 1.46 million tonnes in 1998. But over the past decade, rising temperatures have created larger patches of open water on the NSR for longer periods than ever before. For five of the first six months of 2016, the sea area covered with ice was smaller than any year since satellites started tracking sea-ice extent in 1979. As a result, total cargo volumes recovered to 5.15 million tonnes last year, almost back to the level of 1990. The government has set its sights on much bigger goals. 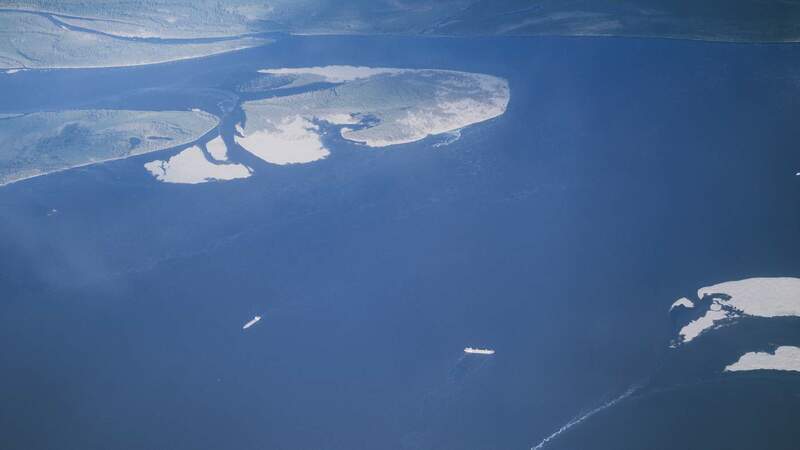 “In the course of the next 20 to 25 years, we are planning to transport more than 10 times as much via the NSR,” says Igor Chernyshenko, a member of Russia’s upper house of parliament from the Arctic city of Murmansk. President Vladimir Putin has strongly backed such ambitions. “States and private companies that choose the Arctic trade routes will undoubtedly reap economic advantages,” he told a conference on Arctic issues in 2011. His government has set up a Northern Sea Route Administration to regulate foreign shipping traffic through Russian Arctic waters. In the past few years, Moscow has also resurrected search and rescue posts and made plans to repair and expand Arctic ports along the coast. Many of these hopes hinge on the idea that some of the goods manufactured in China and bound for European markets could be transported via the Arctic. Russia’s far north contains massive natural resources, which could also be exported both east and west on this route. For example, the US Geological Survey has estimated that 70 per cent of the world’s undiscovered natural gas – some 1,699 trillion cubic feet of gas and 44 billion barrels of natural gas liquids – lies in the Arctic, most of that in Russia. Cargo transports between Europe and Asia via the NSR had stopped after 1997. But beginning in 2009, a few German, Scandinavian, Chinese and Korean shipping companies started experimenting with transits. The companies pay the Russian government to support their vessels through icebreaker escorts, weather data, supply and maintenance and search-and-rescue infrastructure – revenue that Russia needs to subsidise its northern territories. “We lack the money to develop coastal infrastructure and the icebreaker fleet. Therefore we would like to see more transit voyages. That would bring more profit,”says Chernyshenko. 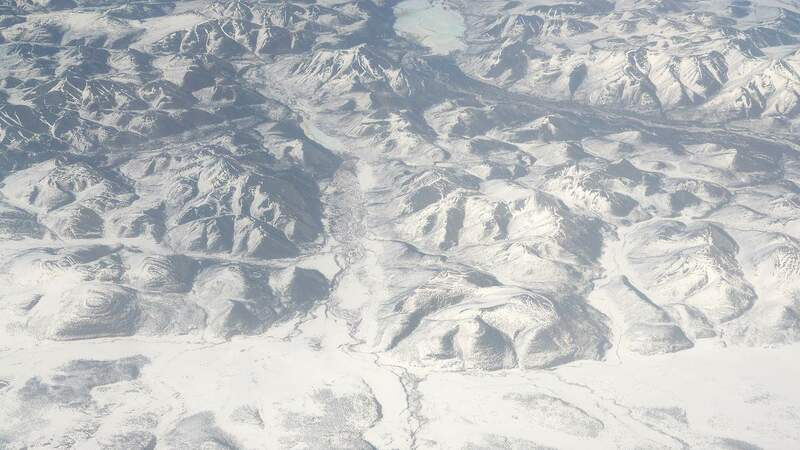 Nobody is more tempted by the prospect of an NSR rebirth than the residents of Tiksi. But the town also starkly illuminates the immense challenges of reviving the Russian north. Tiksi’s fortunes have been tied to Arctic shipping from the very beginning. Situated near the delta of the mighty Lena River, the spot has been a stop for explorers, traders, fishermen and scientists since tsarist times, but a town was built here only after the Soviet government decided to establish a port in 1938. Tiksi was also a trans-shipment hub for timber and other resources that were transported down the Lena on barges from the wilderness deep inside eastern Siberia and the Russian Far East. This created jobs that attracted people from all over the Soviet Union. Tiksi’s military base (created in 1959) helped the town grow, and it also became an important research centre with meteorological and other scientific institutes. The Soviet government built a smattering of other enterprises around the port, further growing the settlement – despite the fact that providing for these residents created immense costs. In the 1980s, Tiksi’s prospects appeared so promising that city planners from St Petersburg drew up grand designs of what they imagined the town might look like in 20 years’ time. Instead of the buckled wooden houses and crumbling concrete prefabs that stand on the gravelly seashore now, they gave it a skyline with high-rises rivalling Moscow’s and a built-up embankment. Since then, Tiksi has lost three-quarters of its inhabitants. 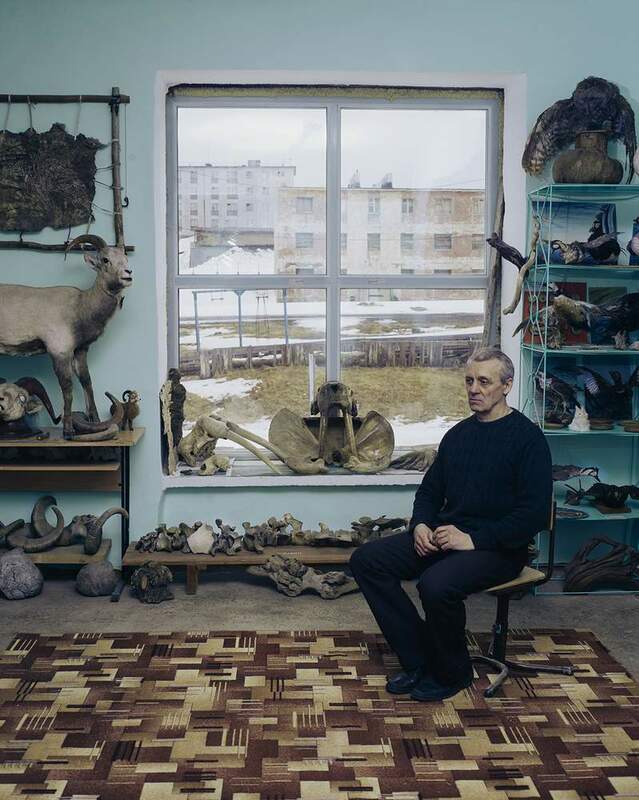 The city planners’ sketches now hang in a small private museum that Gukov set up, next to fossils and bits of woolly mammoth bone. Outside, the steel gates to the port are locked, a dozen rusty cranes frozen in time over the snow-covered pier. The port opens only during the brief three-month summer navigation season. “Our transport infrastructure is suffering great difficulties today,” says Shakhurdin. The town is dotted with ruins. West of the port lie the remainders of a cement plant, while the empty frames of former greenhouses and stables stand on a hillside. 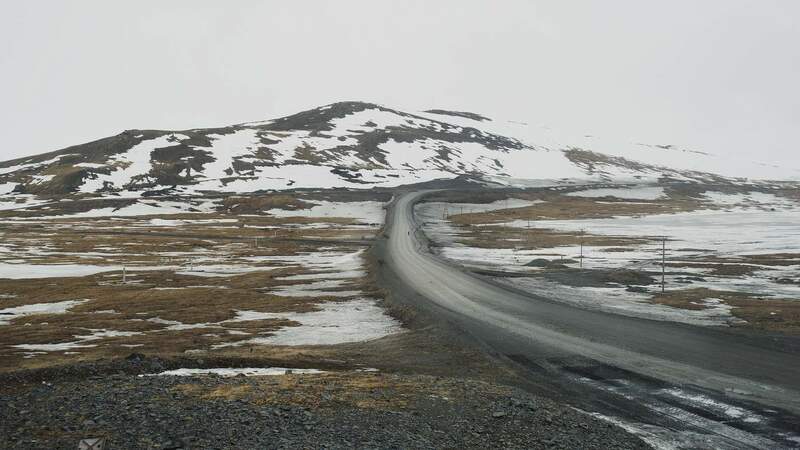 Empty spaces in town and the tundra around it are strewn with rusty metal parts – once cars, pipes and machinery. And the sea panorama is dominated by the silhouette of several ships, rusting away since they were abandoned in the middle of the bay more than 20 years ago. Most of those who left town were ethnic Russians, Ukrainians, Armenians and Germans who had come in the town’s heyday, attracted by highly paid coal-mine jobs, military postings or positions at the meteorological and scientific outposts. For others, leaving is not an option: many Tiksi residents are from former Soviet republics that are now independent countries such as Kyrgyzstan or Moldova. 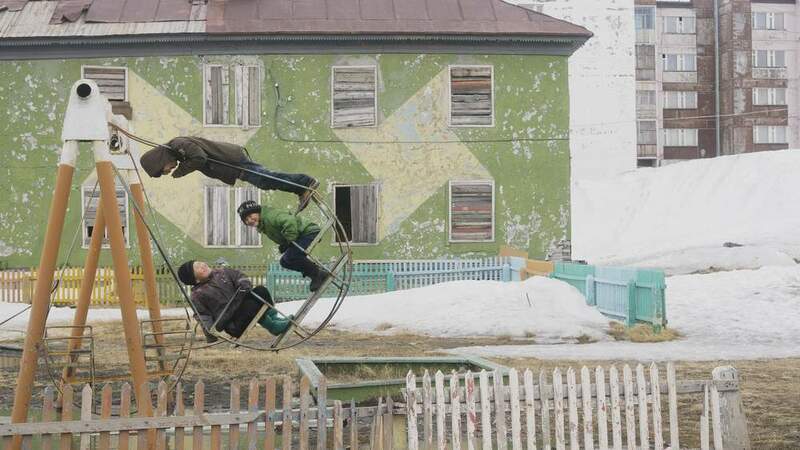 And while life in Tiksi has remained frozen in time for the past 25 years, the rest of Russia has changed beyond recognition. Housing prices have soared, and the job market is competitive, requiring skills few Tiksians have. 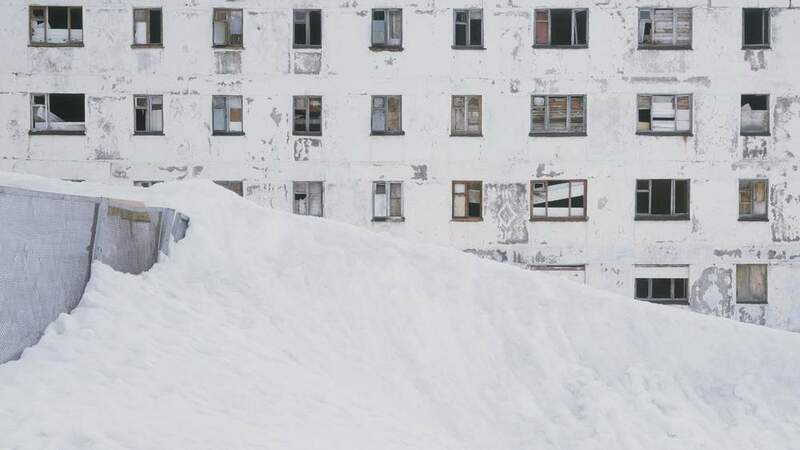 Tiksi’s residents therefore closely follow the news about the NSR for hints of whether it might help the town regain its former glory. Although it is more than 1,000km to the next city, Nikita Kudryashov argues that Tiksi somehow lies at the centre of everything. Experts agree that if the NSR develops as Moscow hopes, Tiksi will have a role to play. One of 10 search-and-rescue centres the Russian government is reopening in the Arctic is in the town. However, that role is unlikely to be important enough to sustain a large settlement. 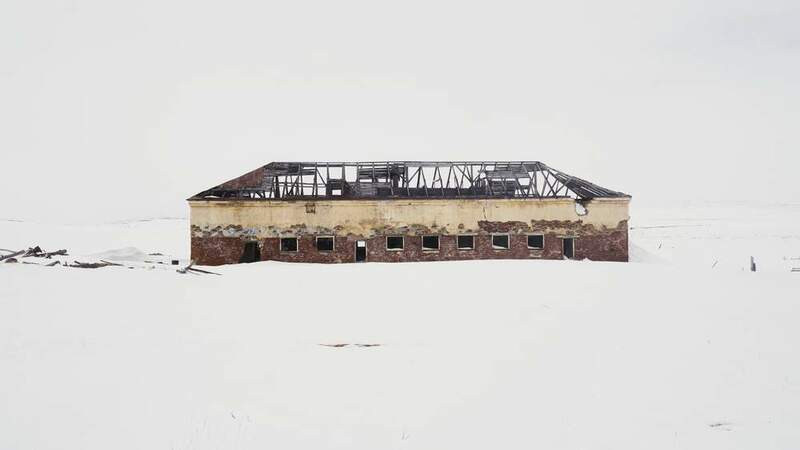 In Soviet times, the town grew far beyond what economic needs dictated – a phenomenon common across the Russian Arctic. “Russia has inherited a colossal spatial misallocation of resources from the Soviet Union,” says Tatiana Mikhailova, an assistant professor at the Russian Presidential Academy of National Economy and Public Administration (Ranepa). Comparing the distribution of Russia’s population over the country’s territory with that of Canada, Mikhailova argues that Soviet location policies have put millions of people in regions not attractive for human habitation from an economic standpoint. 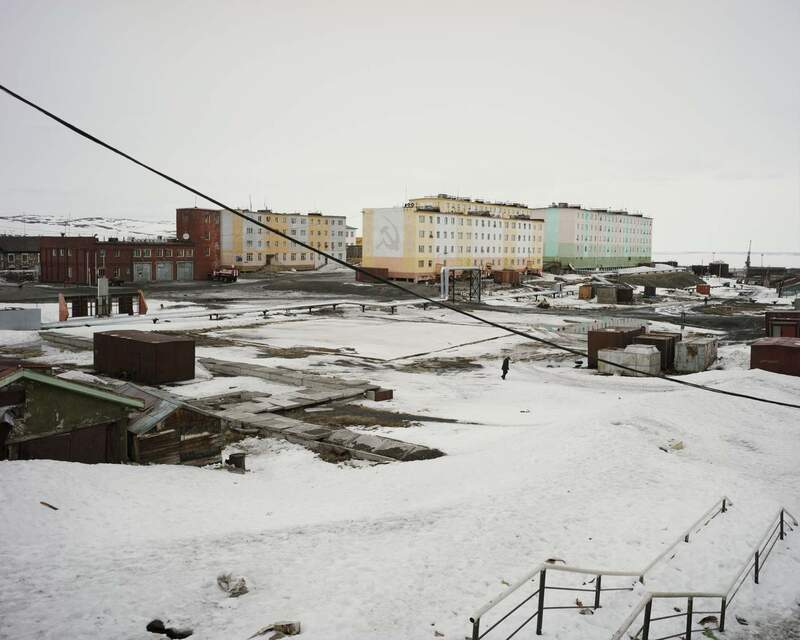 The legacy problems this creates are visible in Arctic settlements such as Tiksi. “When I was a schoolchild, this idea of colonising the space was so ingrained in ideology – it was taken as a truth in itself that to develop the space is a good thing,” she says. To achieve that goal, the Soviet Union employed political means, ranging from ideology to brute force. Marina Ivanova, 58, is an official at the meteorological station in Tiksi. Ivanova was born in the Urals, where her parents were imprisoned in a labour camp, but as a young woman she volunteered for the Arctic. Ivanova had read The Two Captains, a wartime novel by Soviet writer Veniamin Kaverin, that tells the story of an explorer who set out to search for a lost Arctic expedition and discovers Severnaya Zemlya, an archipelago some 1,000km north-west of Tiksi, in the process. “I fell for that book, as did a great many people of my generation,” she says. 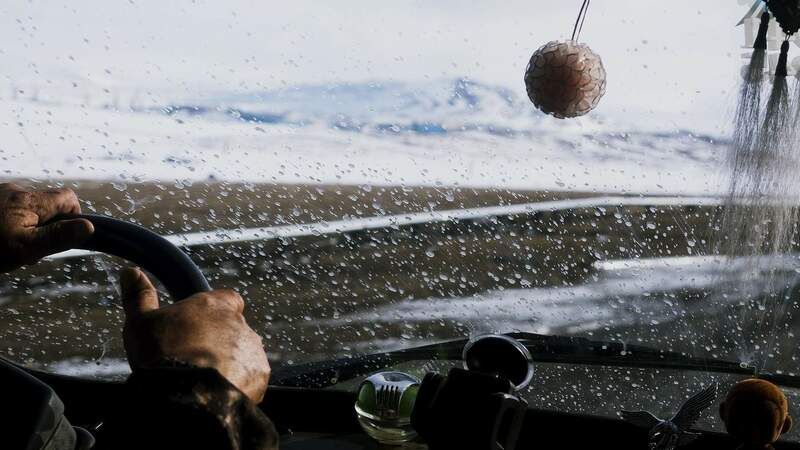 “I lost my soul to that dream, and as a result I ended up here.” In 1981, she was posted to a meteorological station just outside Tiksi – the first woman to work there. “Every time I went out in winter, my superior went behind me to make sure I didn’t get blown off the stairs outside, and he walked behind me with a gun because bears used to come really close but we women were not allowed to carry guns,” she remembers. Ivanova seems an unlikely pioneer. 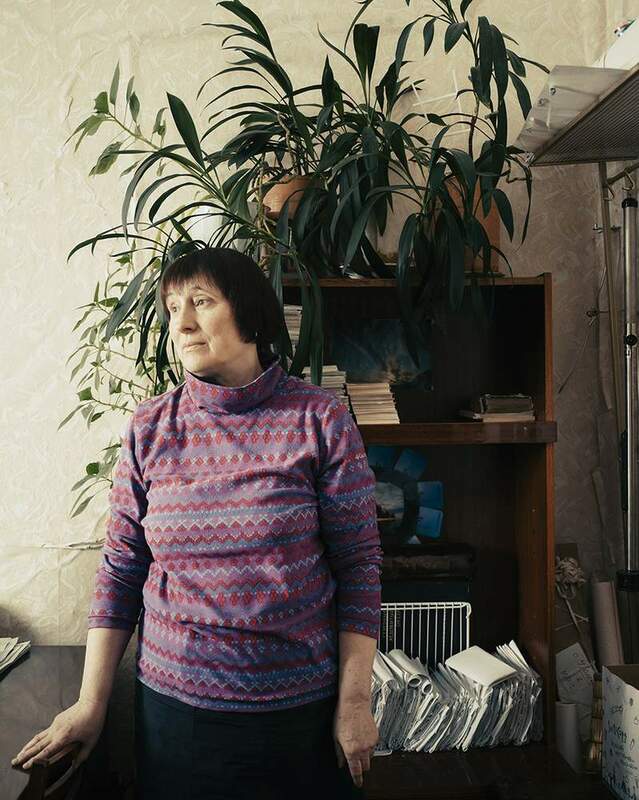 One of the founders of the Russian Orthodox community in Tiksi, she wears long skirts and is categorically opposed to women in dangerous jobs. And yet, more than 30 years in the Arctic have steeled her. The idea of mastering nature is very much part of Russian identity, as is the myth of conquering the Arctic, despite the decline of Moscow’s footprint in the far north over the past 25 years. Such hyperbole is not unprecedented in the nation’s attitude to the far north. Under Josef Stalin, the Soviet Union tried to conquer the Arctic with sheer willpower and by employing prison labour on an industrial scale. Some of the largest and toughest camps of the notorious Gulag system were set up across the region. Stalin also ordered the construction of an east-west railroad line north of the Arctic circle. The regime built a chain of camps stretching over most of northern Siberia in 1947, forcing prisoners to lay rails across more than 1,500km of permafrost wilderness. This “trans-polar magistral” would have eventually linked the Vorkuta area, a network of labour camps that produced coal and timber just west of the northernmost stretches of the Ural mountain range, with Norilsk more than 1,000km to the east, where prisoners mined copper and nickel ore. 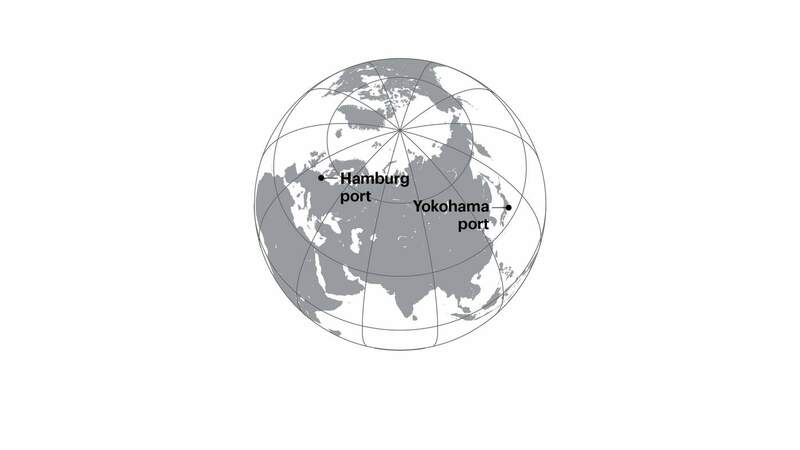 The idea was to link industrial sites up to Arctic ports such as Salekhard on the Ob River, which connects to the NSR and lies 2,400km west of Tiksi. Scholars estimate that around 200,000 people worked in the railroad camps over six years. The death toll is unknown but the appalling conditions, food shortages and lack of medical care earned them the name “Road of Death”. I got a glimpse of the horrors when Lyudmila Lipatova, former director of the regional museum, took me to one former site in the swamp across the river from Salekhard. Lipatova’s hair is as white as the blooming Arctic cottongrass all around us but soon it looks grey as mosquitoes cover her head. 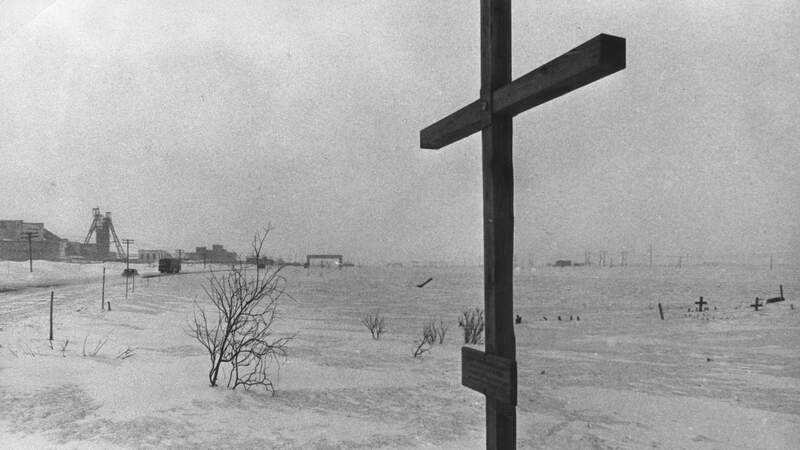 On a bleak plateau, we find a wooden cross several metres high. At its feet lies a pile of small, cracked crosses. They are the leftovers of a cemetery for the children who died in this camp. On a relief map drawn up for the Soviet Union’s ministry of the interior in 1950, the railway plan looks simple – like a thread of yarn dropped on the yellowing piece of thick paper, a red line that snakes over half of northern Siberia, right across mountain ranges, huge rivers and gigantic swamps. But the attempt to subjugate the Arctic failed. Just months after Stalin’s death in 1953, construction was abandoned. Only a section of less than 200km, west of the Ob, has been continuously operational. Gennady Sysolyatin, a 62-year-old sports teacher in Salekhard, takes me to the old track, a causeway made of sand with remains of rotted railway sleepers on top. It has been sinking into the bog for decades. Most of the rails are gone – stolen and sold as scrap iron. Sysolyatin picks up a rusty nail about 20cm long, which once fixed the rails to the sleepers. “You can keep this as a souvenir,” he says. I hesitate to take it – it could have been his mother who put this nail there. She was a prisoner in a camp in Salekhard, and Sysolyatin was born there in 1954. The wooden building that was her prison and later their home is still there, a ruined shack on the roadside. Other things are left only in his memory. But even with that recognition, he is far from dismissing the trans-polar railway as a crazy dream. “If Stalin had lived only a few months longer, everything would have become finished, and we would have a marvellous rail network here in the north today,” he says. Other Russians agree. Since Putin became president in 2000, Moscow has indeed started paying more attention to the Arctic. His government is resurrecting Russia’s military presence in the Arctic, has adopted an Arctic strategy and established a cabinet-level commission to deal with Arctic issues. But Russian government officials are under no illusion that Moscow could go back to a Soviet approach in developing the Arctic. In a time of low oil prices, sanctions and an economic slump, there is simply no money for it. Despite the big hopes, the NSR has been slow to act as a catalyst for Arctic development. The revival of international transit passages, which Moscow had eyed as a revenue source, proved short-lived. After peaking at 1.4 million tonnes in 2013, the transit cargo volume has dwindled – less than 40,000 tonnes went all the way between Europe and Asia via the passage in either direction last year. This is partly because, as oil prices have almost halved since 2013, fuel costs now matter much less. Moreover, despite renewed investment in icebreakers and the rebuilding of search-and-rescue stations, assistance for vessels travelling via the NSR is too sparse and too expensive. Since there is still a lot of ice on the northern oceans, this makes passages risky and drives up insurance premiums. Only ships with reinforced hulls can use the NSR with relatively few restrictions and even for them passage times remain unpredictable. The waters off Russia’s coast are also far shallower than those on the southern route, meaning that the world’s largest, most cost-efficient container ships can’t be used. Korchanov cautions that Russia will have to spend a lot more on infrastructure before it can hope to cash in on the shipping lane, and that operating costs will remain considerably higher than for the Suez Canal, partly because the coastal regions will always be thinly populated. On a journey aboard a container ship owned by mining company Norilsk Nickel this spring, I understood what he meant. The Norilsky Nickel is one of five ice-class vessels the company uses to ship nickel ingots via the NSR from Dudinka, a port on the Yenisei River to its plants in north-western Russia and then on to Europe. From the mouth of the Yenisei, we sailed west through the Kara Sea, passed the Kara Strait into the Barents Sea, and finally south into the shallow White Sea to the port of Arkhangelsk. More than 1,480 nautical miles, or 2,750km, it took us more than seven days. 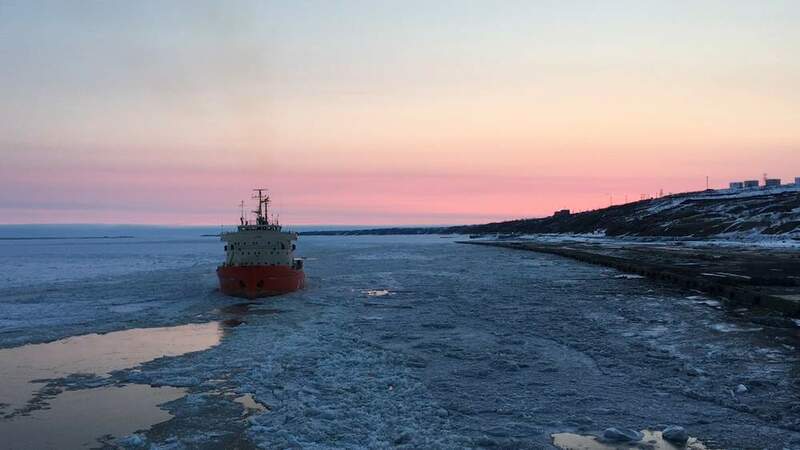 The ship had half a dozen heavy trucks and machinery on board for delivery to a company mining coal near Dikson, the world’s northernmost port. As we started moving towards the shore, we got stuck in ever-thicker ice that appeared to have piled up and re-frozen over weeks. Over the next few hours, we repeatedly reversed and rammed forward again, with a ship built to withstand ice of up to 1.5 metres thick but not to act as an icebreaker itself. Finally, we entered the port – one wooden pier, built in 1941, blackened with coal dust. “This reminds me of west Africa,” said Andrei Tolstov, the ship’s cook, who has served on vessels all over the world. “My god, this is Russia, this is Russia!” he sighed. After the mining machinery was unloaded, I expected things to speed up as we entered the open sea. The path downriver had been smooth since we were sailing in a straight channel cut by an icebreaker. 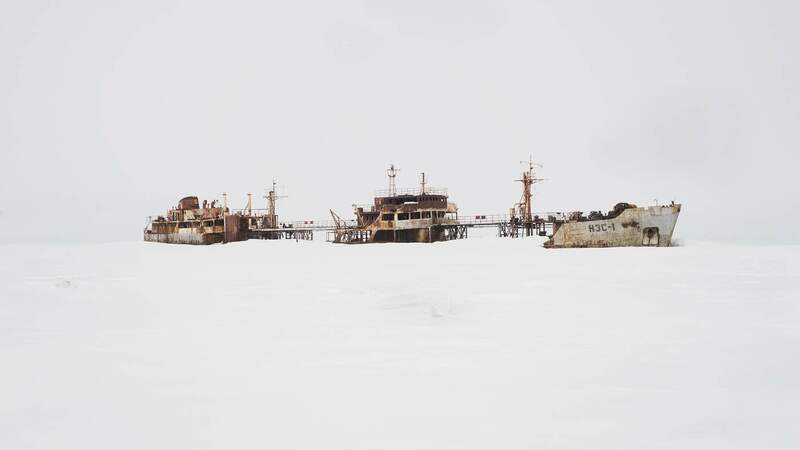 Now on the Kara Sea, the Norilsky Nickel had to find its way through a treacherous, ever-changing landscape of ice. Some of it was round, flat floes that looked like pancakes; elsewhere there were huge, thin, smooth sheets that splintered in hundreds of fine cracks as we moved through. We passed streams of water that looked like rivers with ice peninsulas in between, and then large expanses of open water with shimmering, blueish-green icebergs suddenly appearing out of the thick fog. Igor Yesin, the captain, steered the ship through all of this with the help of radar pictures, ice imagery from Russia’s meteorological service, paper maps and GPS navigation tools. There are lighthouses on the coast and many islands but most of them don’t work anymore. “All of these are marked on the map, but more than half of them are dark now,” said Yesin. “There just isn’t any money.” He did not trust the radar images either. Every few minutes, he jumped up from his chair and circled the bridge, staring down at the water to gauge the nature of the ice. “If something happens out here, nobody will save us – not God, not the tsar, not a hero,” he said, quoting a line from the Russian lyrics of the Internationale. The closest search and rescue station was back in Dudinka, more than two hours by helicopter. More than once we got stuck and had to reverse to find another way. By the time we left the Kara Sea behind us for the open waters of the Barents Sea, the recording of our course on the computer screen looked like a chaotic scribble. Despite such challenges, the increase in Russian traffic on the NSR shows that the route could still gain enormous significance if there is an economic driver. Last year, more than 3 million tonnes of construction materials and equipment were shipped into Sabetta, a newly built port about 400km west of Dikson. That is more than three-fifths of the entire cargo volume on the NSR in 2015. Here, Russian energy company Novatek, together with France’s Total and CNPC of China, is developing gas reserves and building a liquefied natural gas (LNG) plant. From next year, the company will start shipping LNG from here with its own fleet of ice-class tankers to both Europe and Asia via the NSR. In contrast to Tiksi, where residents struggle to survive with ageing infrastructure, the giant construction site in Sabetta employs 15,000 workers and engineers. But none of them lives there permanently. 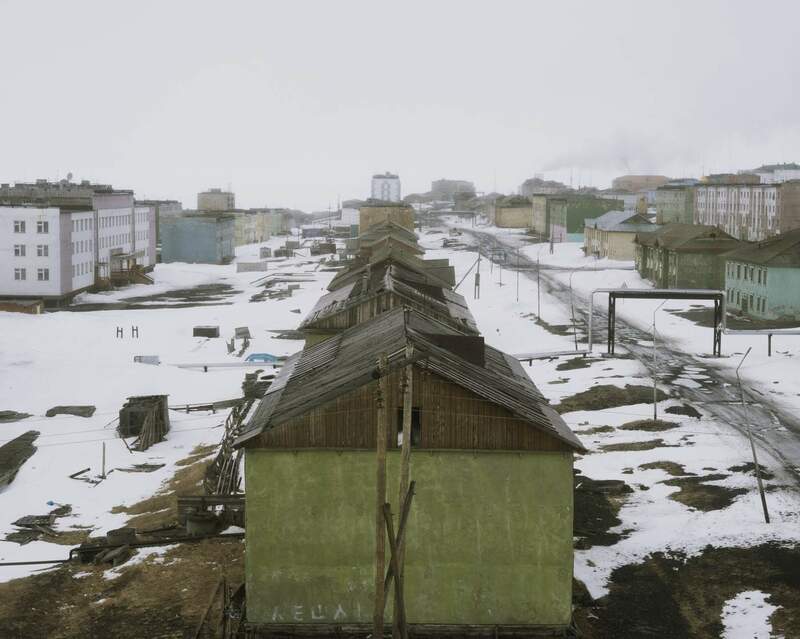 The men are housed in blue-and-orange aluminum huts: light, well-insulated and less sensitive to the harsh climate than the concrete prefabs the Soviet Union put up for its Arctic settlers. 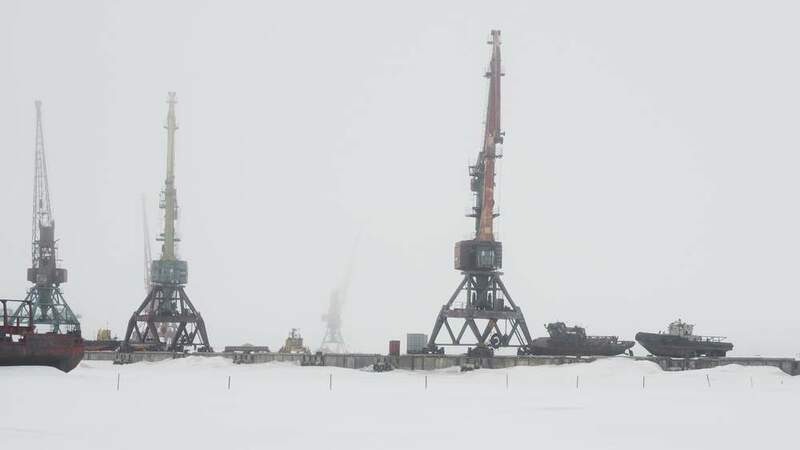 Although Russian energy companies have been given blocs for exploration of oil and gas all the way to the far east of Russia, Tiksi is likely to be at the very end of the queue. Deposits in the Barents Sea are believed to be much richer than those further east. 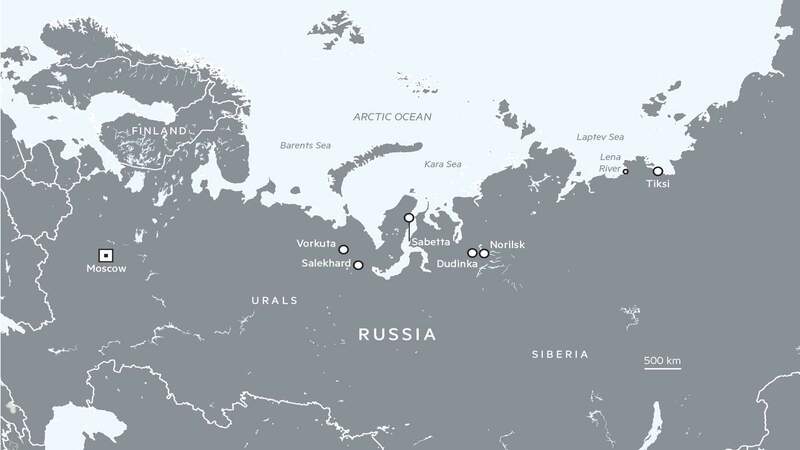 With oil prices so low and western sanctions barring Russia from acquiring US technology for Arctic offshore drilling, new oil and gas projects that could benefit Tiksi might be decades away – if they ever happen. Government officials know this. Konstantin Shakhurdin acknowledges that although there are plans to modernise Tiksi’s port, state money is unlikely to be forthcoming unless the town proves that it can resurrect some local economic activity. For that purpose, he has drawn up plans for a fish-processing plant and a construction-materials factory. There are funds available under a regional government programme but Shakhurdin admits that the town has yet to find a private investor. For now, Nikita Kudryashov is content to stay in Tiski. The pay up north is almost three times as high as elsewhere in Russia, and time served with the military in the Arctic counts double. But when he thinks about the prospects for the town, his dissatisfaction is obvious. Although the number of soldiers has increased to several hundred from just 30 four years ago, promises by the military leadership to build a dorm for up to 1,000 troops have yet to materialise. Tiksi’s residents may have to hold on to their hopes for a while longer.